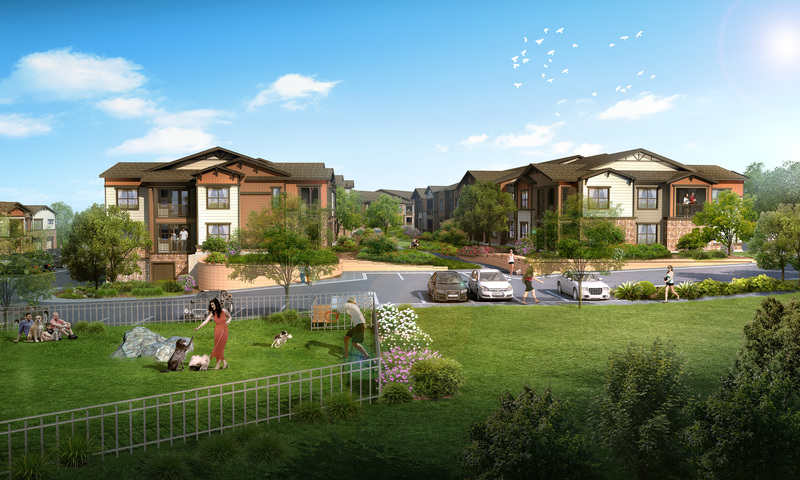 PEAK83 is a 255-unit Class A multifamily development that's under construction between State Highway 83 and South Pine Drive, just south of Twenty Mile Road, in the town of Parker, Colorado. The Town of Parker is a charming bedroom community that features a unique variety of retail and lifestyle amenities, one of the best school districts in the State, and effortless access to Metro Denver’s major employment areas. The site is adjacent to State Highway 83, offering access to E-470, which provides further access to Interstate 25, the major north/south interstate connecting the Central Business District and the Denver Technology Center. The property will consist of 255 luxury apartment units in two and three-story garden-style apartment buildings with tuck under garage parking. 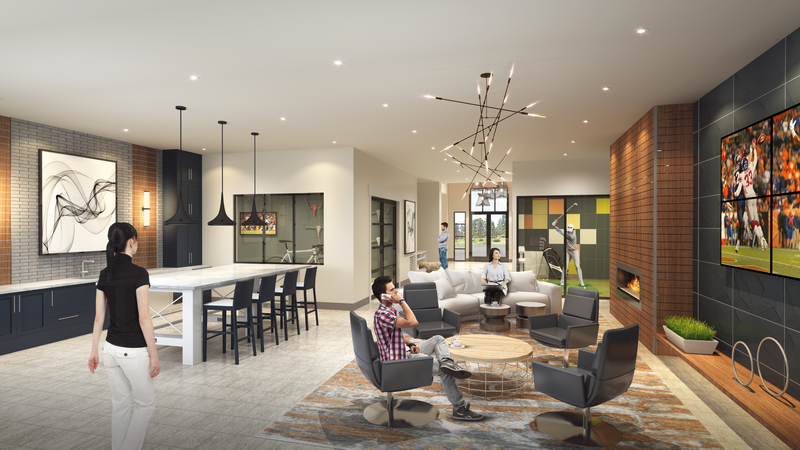 The property will offer a variety of floor plans, which will range from 705 square foot one-bedrooms to 1,423 square foot three-bedrooms, with an average unit size of 951 square feet. The unit mix for the property is currently designed to have 42-percent one-bedroom units, 11-percent one-bedroom units with dens, 42-percent two-bedrooms units, and six-percent three-bedroom units. 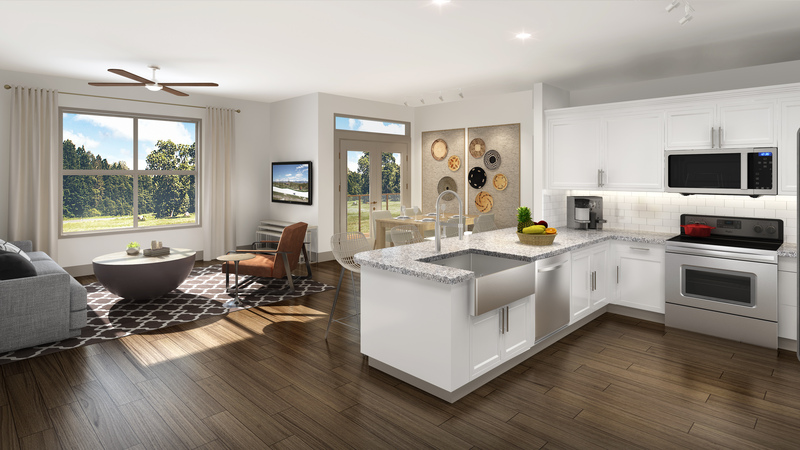 The residential units will be equipped with stainless steel appliances, washer/dryers, custom cabinets, granite countertops, ventilated closet shelving with shoe racks, tile backsplashes in the kitchen, hardwood-style flooring, large kitchen islands or wrap-around bars, and private balconies or patios. Common area amenities for the development will include a well appointed club house, featuring a fitness center with children’s playroom, mail and package locker system, indoor golf simulator, business center with enclosed offices, entertainment room with media center, kitchen area, pet spa, bike and ski repair shop, and a covered patio that is adjacent to the community’s resort-style swimming pool. 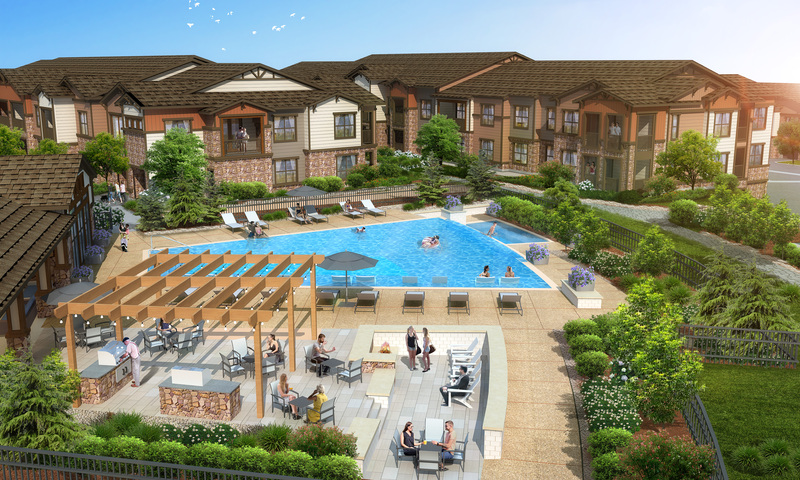 The pool area will offer outdoor grilling stations, resort-style swimming pool, hot tub, and an outdoor fire pit. Additional outdoor amenities will include a gated on-site dog park, a children’s playground, and a walking path that will provide inviting and convenient access throughout the site and nearby recreational amenities and commercial/retail establishments. The property began construction in July 2017, and is scheduled to open in September 2018.